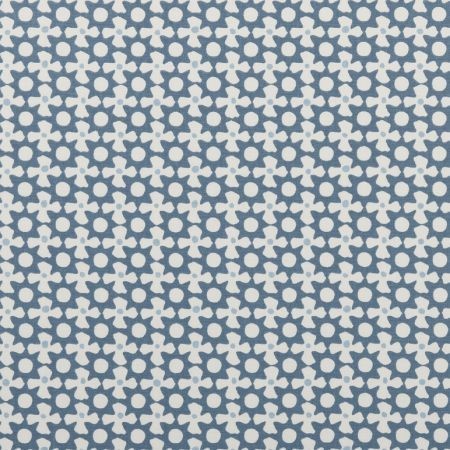 A geometric maritime inspired design in a denim blue background with a dash of light blue. PVC coated cotton. Gloss finish. Also available in 100% cotton.